First-tier graphic card vendors might be leading the race in terms of graphic card shipments, but that gap is about to shorten tremendously thanks to the efforts of Chinese based GPU vendor Colorful. The company has managed to surpass the sales performance of popular names such as Micro-Star International, (which is famous for rolling out the world’s first mechanical keyboard gaming laptop, GT80), and Gigabyte for the first half of 2015, and it is expected that the company will outpace Taiwanese GPU vendor Asus during the second half of the same year. According to DigiTimes, the only vendor that Colorful happens to lag behind is Palit Microsystems, but since the Chinese company is already making strides to imminently become the second largest GPU vendor on the planet, it will also be using this ranking as a catalyst to boost its motherboard sales. Currently, Asus happens to be largest motherboard manufacturer on the planet, followed by Gigabyte, but that might change in the foreseeable future. The website states that while overall graphic card sales have plummeted, demand from China still looks healthy. Graphics card shipments in China are approximately 16-17 million units a year, and account for a whopping 50 percent of the total global volume. For those who are unaware of the following fact, Colorful, Galaxy and Zotac are the giants that are currently dominating the Chinese graphics card market. Given below are details concerning the total number of shipments that each GPU vendor is able to rake on a monthly basis (and yearly basis for some). Colorful: 500,000 units per month, projected sales of five million units in 2015. Galaxy: 400,000-450,000 units per month, projected sales of five million units in 2015 (this will also include shipments to Europe, North America, Australia, Japan and Korea). Zotac: Projected sales of three million units in 2015. Asus: Five million units in 2014 (global), expects the same count by the end of 2015. Gigabyte: 3.6 million units in 2014. MSI: 2.9 million units in 2014. 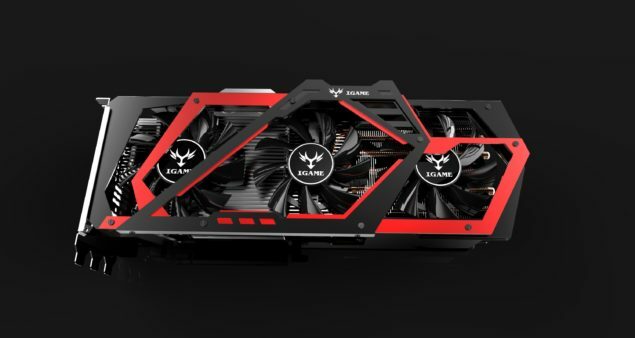 According to reports, Gigabyte and MSI shipments might ship out 5-10 percent fewer units in 2015 compared to previous year, thanks to overwhelming competition in the form of Zotac, Maxsun, Gainward and of course Onda. It looks like we are going to have wait for the year to end to see which GPU vendor is crowned the largest one for the year 2015. Seeing how quickly Colorful is rising to the top, we’d have to place our money on the Chinese company. Any takers?